For this week’s playlist I’m putting together what I call “The Ultimate Setlist.” This is a concept that my friend Mike came up with back when people still made mix CDs. The idea is to give someone a starting place in a band’s discography, basically a jumping off point to the artist’s best songs and biggest hits. The rules are fairly simple: arrange the playlist in such a way that emulates the perfect setlist for the band, and make sure that the playlist comes in under 80 minutes (that was the length for CD-Rs — remember those, from another life?). This week, I’m jumping in with Jimmy Eat World and you can find my picks on Apple Music and Spotify. To simplify things, I decided to modify the original rules a bit: I instituted a 22 song maximum. 20 song main set and a two song encore. I think this is the ultimate setlist for Jimmy Eat World, and I think this is a killer playlist if you’re looking to get into the band. But, I’d also love to hear what I missed. 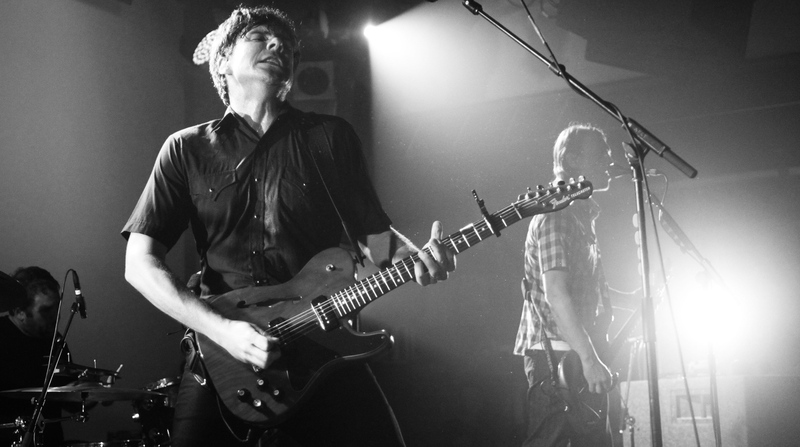 What would your “Ultimate Setlist” from Jimmy Eat World be? Hit the quote bubble on this post to come join me in the forums to let me know. Craig Ismaili Craig Ismaili is a contributor at chorus.fm. He can also be found at @TGSCraig on Twitter and on Facebook.